This was a very interesting meeting that tied together the above themes and shed light on many common assumptions. Here are some highlights. Salem, Massachusetts is indelibly associated with witchcraft, but it was not the first place to hold witchcraft trials in the colonies or even in Massachusetts. Witchcraft trials started in Europe and were then carried over to the colonies. The earliest witchcraft accusations in the English colonies took place in Virginia: the trial of midwife Joan Wright. Her neighbors testified that she caused the death of a newborn. She was acquitted despite admitting that she had some knowledge of witchcraft. Mark Podiva of West Virginia University College of Law gave the keynote speech, saying we need to focus on implicit and explicit bias in sources, both historical and current. Anne Rajotte of the UConn Law Library discussed Connecticut witch trials, which were lesser known than the Salem witch trials because the trials were spread out over many years and information was scattered. Salem’s witch trials, while not the earliest, are the best known, perhaps because of the high number of deaths in a short period of time. Between June and September 1692, nineteen men and women were hanged for witchcraft in Salem. Amazingly, there was a time when the courts allowed “spectral evidence”; if a witness said the accused came to him in a dream, that could be admissible as proof of the devil’s work. The witchcraft laws all had biblical language. Rhode Island had a statute forbidding witchcraft from 1647 until it was abolished in 1767. There was never a prosecution for witchcraft in Rhode Island. Witch trials serve as an early example of fake news, the first Salem trial was started by bored teenagers spreading lies. They listened to a servant’s stories, after being told they were not supposed to, then said she cast spells on them. There are still witch hunts going on in parts of the world, most frequently in developing countries. When people get sick, witchcraft is suspected. Gary Smith of the Berkshire Law Library, who is both a librarian and art historian, showed and discussed a painting by a 19th century artist named T.H. Matteson of the “Witchcraft Trial of George Jacobs.” It was painted in 1855. He showed how art can help us remember things. John Barden and Mike Hughes gave interesting, edgy, humorous presentations that kept us awake following lunch. The last speaker, Ron Wheeler, put us in a deep, reflective mood when he read from his article about his lifelong journey towards empathy, which sums up the theme and main takeaway of the entire program. As Tanya Johnson notes in the SNELLA newsletter, misunderstanding and lack of empathy can lead to horrific consequences. I would like to thank Ellen Phillips of LLNE and Jordan Jefferson of SNELLA for their joint efforts in putting together this program. I would like to thank LLNE for arranging for the services of professional CART reporters Stephanie Farrell and Kathleen Dwyer, who worked hard all day to make the program accessible to me. LLNE and SNELLA are looking for presenters for the upcoming fall meeting on Friday, November 17, 2017, at the Salem Waterfront Hotel in Salem, MA. The topic of the conference is Hysteria, Hyperbole, and Witch Hunts: 1697 & 2017. Please see the conference LibGuide for more details. The conference will be focused on historical legal research in the context of the Salem witch trials and related to themes of teaching information literacy, information bias, and differentiating between salacious sources and authoritative ones. We are looking for people who are interested in doing short, fifteen minute “lightening round” presentations either with or without visuals on this theme. Potential topics could include: Fake News, Bias, Information Literacy, Online Civic Reasoning/Discourse, Groupthink, Fact Checking, Filter Bubbles, Data Archiving, Access to Authority, Digitization/Preservation of Historical Materials, teaching with (or using) rare/historical materials, Authentication of Legal Sources, Archival Research. Other topics will be considered as well, so please feel free to suggest another angle. If you have any questions, or would like to submit a proposal, please contact Ellen Phillips. Proposals should be one to two short paragraphs explaining the topic of your presentation and how it relates to the theme of the conference. The deadline to make a proposal is September 30th. We look forward to receiving your great ideas! Posted on September 1, 2017 Author Ellen PhillipsCategories LLNE Meeting, Meetings & EventsLeave a comment on LLNE/SNELLA wants you! Posted on May 22, 2017 Author Alex BurnettCategories AALL, LLNE Meeting, Meetings & EventsLeave a comment on Save the Date! Because the theme for the spring meeting (register here!) is professional development, the service committee asks you to consider donating professional clothing, toiletries, or money to SolutionsWear. SolutionsWear provides interview-appropriate clothing and accessories to homeless and low-income men and women. Check out the list of especially needed items, as well as a complete list of the kind of donations SolutionsWear accepts. We will be collecting clothing and toiletry donations at the meeting. If you would like to make a monetary donation directly to SolutionsWear, you can do so here. Register for the Spring LLNE/ABLL Meeting! LLNE/ABLL Spring Meeting Registration is LIVE! Join us on Friday, June 9th at the Boston University School of Law to discuss professional development and career paths. Please register as early as possible. For more information and a schedule for the day please go here. IMPORTANT: If you need a parking permit, you must let us know by May 19th to ensure that you receive your permit. Posted on May 5, 2017 Author Anna Lawless-CollinsCategories LLNE MeetingLeave a comment on Register for the Spring LLNE/ABLL Meeting! 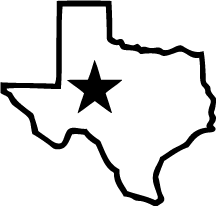 Register for the LLNE/ABLL Spring 2016 meeting! Registration for the LLNE/ABLL Spring 2016 meeting is now open! The theme of the meeting is “Access to Government Information.” We will be spending the day discussing the role of law libraries and the government in providing access to this information, and why it is so critically important. Registration is $50 for LLNE members, and $40 for ABLL members. Posted on February 20, 2016 April 6, 2017 Author Michelle PearseCategories AALL, ABLL, LLNE Meeting, Spring MeetingLeave a comment on Register for the LLNE/ABLL Spring 2016 meeting! 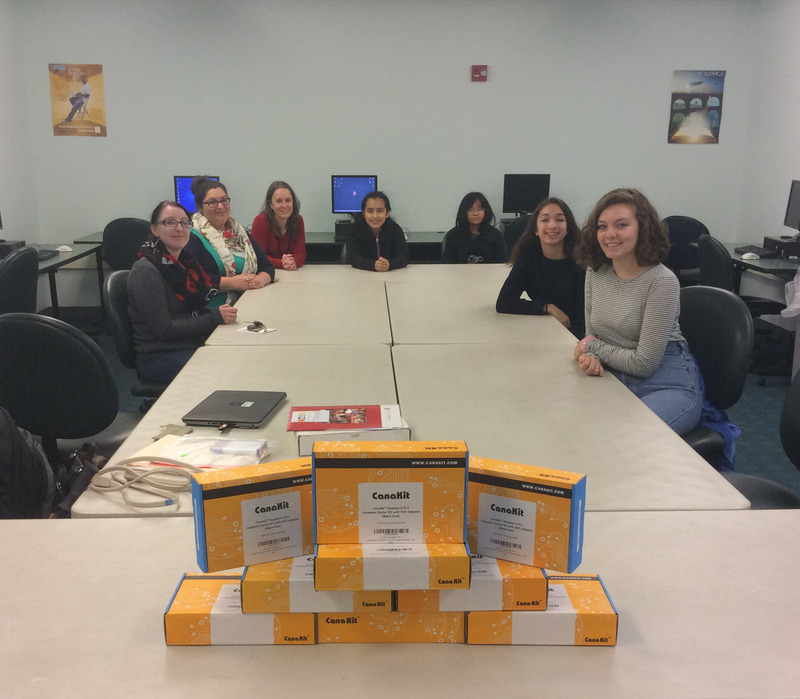 On November 12, 2015, law librarians Nicole Dyszlewski and Raquel Ortiz stopped by the Rochambeau Library’s Girls Who Code club to deliver 10 Raspberry Pi computers that members of the Law Librarians of New England donated to the club. The club is currently made up of six girls ranging in age from twelve to fifteen who have an interest in computer science and coding. Girls Who Code is a nationwide organization that is working to close the gender gap in technology careers and education. The national organization supports local clubs to help inspire girls to pursue computer science careers by exposing them to instruction in computer programming, web development, web design, and robotics. The one public chapter of the Girls Who Code Club in Rhode Island is held at the Rochambeau Library in Providence. Kendra Saunders from Johnson and Wales University serves as the club’s volunteer instructor. “Prior to the donation the girls were using Dell desktop computers that were running on Windows XP, which is quite out of date” wrote Rashaa Schoolcraft, the organizer of the Rochambeau Library’s chapter. “We were looking to get a few Raspberry Pi computers but were unsure of how we would purchase them.” So when Law Librarians of New England approached Schoolcraft to ask how they could be of service, the timing could not have been better. Raspberry Pi computers are approximately the size of a credit card, plug into a computer monitor, and use a standard keyboard and mouse. The units donated by LLNE cost about $70 each and are capable of running a variety of operating systems, giving users the ability to experiment with coding and creating their own programs. Law Librarians of New England (LLNE) is a non-profit organization for professional law librarians throughout New England. Twice a year, LLNE hosts educational meetings for its members on different topics. This year’s fall meeting, titled Successfully Supporting & Igniting Innovation, was hosted by the library at Roger Williams University School of Law and featured local innovators and businesses from Rhode Island on the panels. In conjunction with the event, the LLNE Service Committee sought to support local innovative projects and ultimately chose to raise funds for the local public Girls Who Code club.